15 years ago, God brought a friend into my life whose presence would profoundly change me. 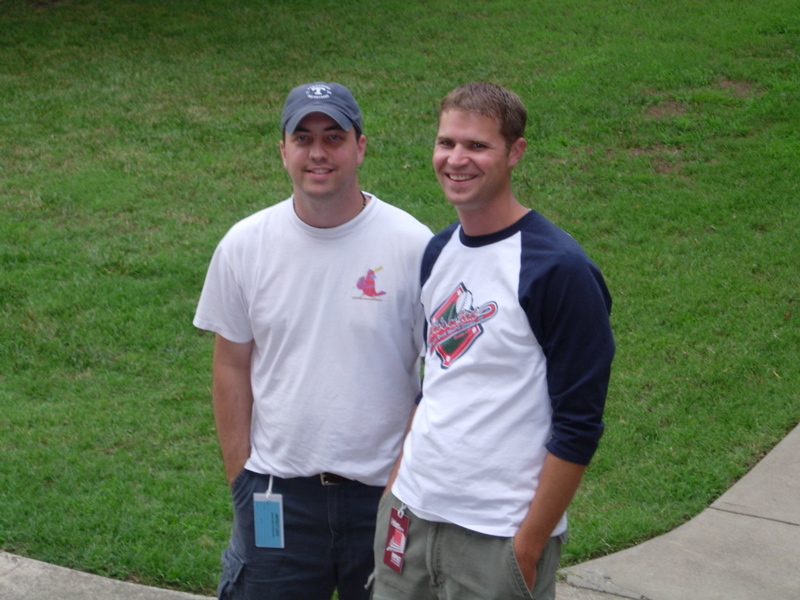 Corey Trevathan and I met on the campus of Lipscomb University in the fall of 1997, but we really became close the next summer when we served as youth interns together for the College Street Church. It didn’t take long for the two of us to realize that we worked well together: we were similar enough to be compatible, but different enough to make it interesting. I had no way of knowing it at the time, but some of my all-time favorite memories would be forged as I tried to make Corey laugh on camera during the filming of our Wednesday night videos back then. So much fun. Over the years, I’ve been fortunate to witness the ministry God has given Corey. In those early days interning together, we used to dream about what it would be like to work together, full-time partners in ministry. It seemed just that — a dream — but with some dreams, there is also a knowing. For a brief period of time, that dream came to fruition. I can say that some of the most rewarding and fulfilling years I’ve spent in ministry were the years I partnered with Corey. His passion for teens and their families manifests itself in so many capable ways: a tremendous gift for administration; a God-given ability to communicate; and, most of all, a pastor’s heart for those in his care. But my appreciation for Corey goes far beyond his ministerial contributions. In my life, Corey has been one of the “all season” friends. He’s been by my side to share in some of my greatest joys in life (my wedding, the birth of my children); and he’s also been there during some of the more difficult seasons, too. When I have good news to share, Corey is one of the first people I want to call. But, more importantly in my mind, he’s also the one I want to hear from in times of crisis. I count it a supreme honor to have the prayers of this man covering me when I’m in pain. One of Corey’s favorite expressions is the view of the Christian life as “a long walk in the same direction.” In the 15 years I’ve known him, Corey has been committed to walking in one direction — the Way of Christ. His communion with the Lord inspires me. His conviction to serve motivates me. And his courage for the journey renews my spirit. Corey, today is your birthday and I thank God for who you are to me and so many others. Your faithfulness to God’s call on your life has made me a better husband, father, minister, and disciple of Christ. Happy birthday.